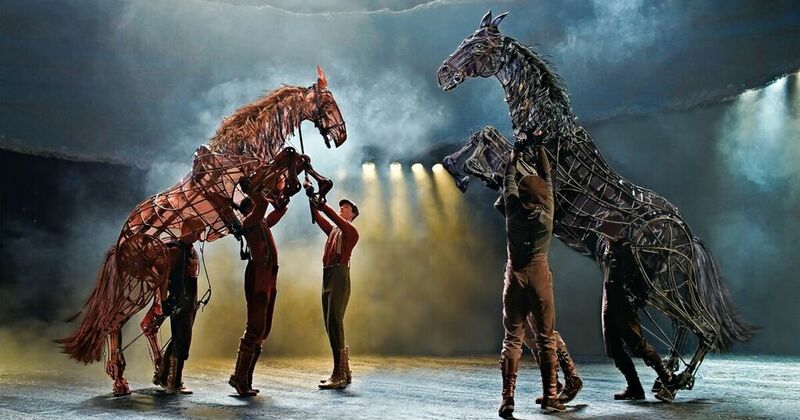 Promo: War Horse coming to Curve Leicester Wed 18 Sep – Sat 12 Oct 2019 – East Midlands Theatre. War Horse, the unforgettable theatrical event based on Michael Morpurgo’s beloved novel, will come to Leicester for the first time, playing at Curve Wed 18 Sep – Sat 12 Oct 2019. Directed by Marianne Elliott and Tom Morris, Nick Stafford’s adaptation of Michael Morpurgo’s remarkable story of courage, loyalty and friendship, about a young boy called Albert and his horse Joey, set against the backdrop of the First World War is the most successful play in the National Theatre’s history. It features ground-breaking puppetry work by South Africa’s Handspring Puppet Company, which brings breathing, galloping horses to life on stage. “War Horse is a landmark of contemporary British theatre, beautifully directed by Marianne Elliot and Tom Morris. “Michael Morpurgo’s story serves to remind us of the astonishing bravery of those who gave their lives for our freedom during the Great War and is an enduring plea for peace and equality. War Horse, which has been seen by over seven million people worldwide, completed its record-breaking eight year London run at the New London Theatre in March 2016. It has won 25 awards including the Tony Award for Best Play on Broadway. War Horse at Curve will go on sale to Curve Friends and Supporters on 21 Nov, to Members and Groups on 22 Nov and on general sale on 28 Nov, all at 12noon. Tickets can be purchased online at www.curveonline.co.uk, over the phone on 0116 242 3595 or in person at Curve’s Box Office. Promo: Exclusive video interview with actors Tim Frater and Robin Kingsland from Nottingham Playhouse panto Robin Hood and The Babes in The Wood. Review: Les Misérables (touring) Curve Leicester until Sat 24th November 2018.